When Officer Bud the PR face of the Boston Police Department is gunned down, his brother, Bogie McGruder, returns from Palm Beach for the funeral. 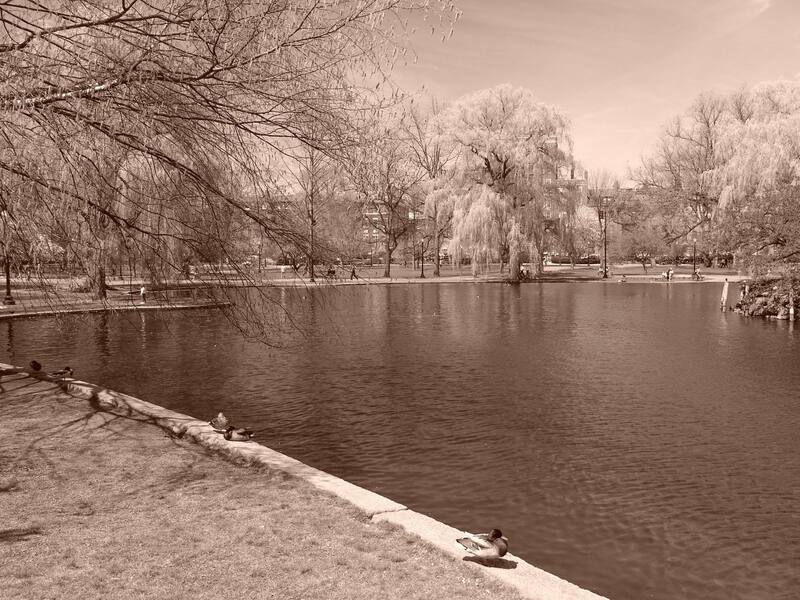 Since the BPD is investigating the death of one of their own, Bogie believes his trip to Boston will be a short condolence visit and a chance to meet his secret love child. But interacting with a family fueled by alcohol and mired in scandals, Bogie is reminded why he does investigations for his Boston based company from a computer in Florida. Although Bogie wants to contact his ex-lover, Bailey Hampfield, he’s reluctant to do so since Bailey dumped him four years earlier. Knowing that Bailey had his child after she cut him loose, Bogie ponders how he can establish a relationship with the three year old daughter he’s never met. While he thinks about it, Bailey gets in touch with him and asks for protection. Someone is trying to kill her. By the time Bogie meets Isabella, it’s apparent that he still loves the mother and adores the child. Bogie tells himself that he’s not interested in the BPD investigation into Bud’s death, but he continues to be drawn into it while trying to discover who is attempting to kill Bailey. The investigations seem to parallel each other, then intersect and become intertwined. 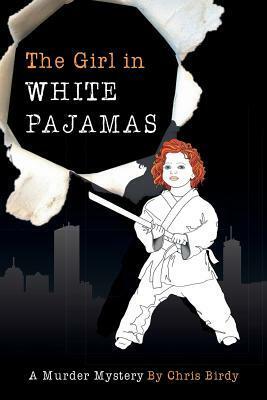 As the story develops, Isabella, a precocious child obsessed with martial arts, slowly becomes the focus. The underlying theme of this mystery is lies. Everyone seems to be running on lies and half truths. The only pure and true character is The Girl in White Pajamas. I have not enjoyed a murder mystery so much in a very long time. I was hooked on this book from the beginning and could not put it down. There is so much suspense and so many twists and turns it is like riding a roller coaster. You never know what is around the corner. 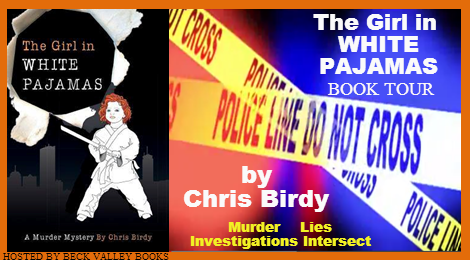 Chris Birdy will have you guessing up to the very end of the book. While this is a murder mystery, there is a little romance mixed in as well. The family dynamics play a major role in this book, too. The only thing that I didn't really care for were some of the situations in the book. It made me a little uncomfortable, but I guess life can be uncomfortable. I don't want to be specific because I don't want to give anything away about the book. I'm sure you will figure it out when you read it, especially one scene in the book. I did love the book, even with some of the scenes in the book. I could not put the book down. It will have you on the edge of your seat, and will keep you guessing until the very end. It is a down and gritty book. This book is for adults, because of some adult situations. I give this one 4 1/2 stars. I can't wait to see what else Chris Birdy writes. Chris Birdy was born and raised in Pittsburgh, Pennsylvania. After graduating from high school, she did a four year stint in the Middle East. When she returned to the States, Chris settled down in the Boston area and became a true Bostonian by collecting college degrees while raising a family. For more than twenty years, Chris has been a member of the legal community performing investigative work for Boston law firms conducting business in rough housing projects and crack house neighborhoods. Several years ago, while sitting in a courtroom with a client, Chris watched as a police officer was lambasted by an attorney. The attorney was defending a young woman who crashed her car into two other vehicles before she passed out drunk behind the wheel. The occupants of the other cars were seriously hurt and the cop, a former EMT, tried to assist the injured while waiting for ambulances to arrive. The attorney questioned the cop's every move, shredded his testimony and made him seem inept. Embarrassed, the cop returned to his seat beside me and muttered, "Everybody lies. The judges lie, the lawyers lie, the witnesses lie.." Chris wanted to tell him not to worry that in about five years he'd be just as good a liar as they were. 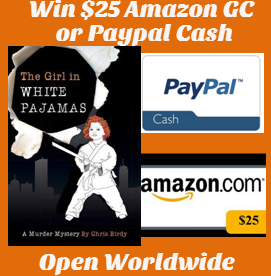 The seeds for The Girl in White Pajamas were planted in that courtroom. Chris lives outside of Boston and in Palm Beach, Florida with her husband. I so can't wait to read this one, hubbie's read it already and he loved it. Can't wait to read!! Thanks for the awesome giveaway!! This was a great book. Just starting the next one.